These ombre stemless wine glasses are perfect to take your wine to any event. 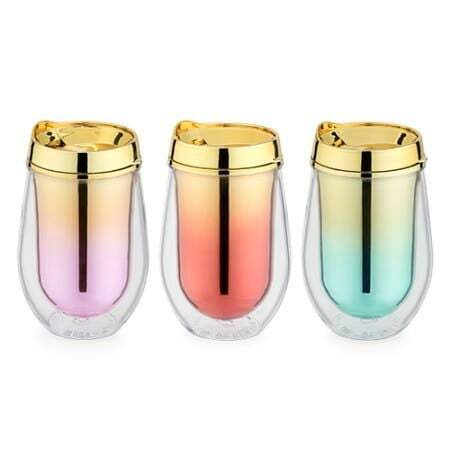 Glass includes a metallic gold lid and is available in pink, orange, or aqua. The perfect glass for a beach party, bachelorette event, outdoor event and more. Why drink your wine in plastic when you can drink it in a stylish glass? The perfect gift for your best girlfriends or the wine lover in your life.